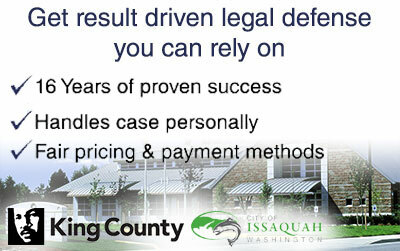 Do you need an Issaquah criminal defense attorney for yourself, a friend, or someone in your family? If so, I’m here to help. 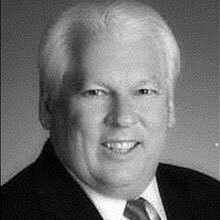 My name is Schoen Parnell, and I’m the owner of Parnell Defense, a full-service, independent law firm dedicated to helping people just like you. I know that when it comes to picking a criminal defense lawyer, you have lots of choices. You could pay a big retainer and hire a high-priced lawyer from one of those large law firms. You could try to save your money and use an overworked public defender. Or, you could hire a private, affordable criminal defense attorney like me – one who handles every single case personally. Here at Parnell Defense located just a few minutes away from Issaquah, my clients deal directly with me – there are no junior lawyers, partners or students in my office. I believe that every person who is accused of a crime deserves to be represented by a skilled, experienced lawyer. I also believe that a great lawyer should be affordable – that’s why my fees are reasonable, and I offer fair payment plans to all my clients. Since 2002 I’ve been successfully defending people like you – men and women charged with serious crimes ranging from DUI, to assault, firearms offenses, and criminal fraud. My goal is always a ‘Not Guilty’ verdict, no matter how complicated the case is. I know that picking the right criminal defense attorney can be hard – that’s why I offer free consultations to anyone facing a criminal charge in Issaquah. Give me a call – I’ll review your case, and let you know how I can help. Issaquah is home to both a municipal courthouse and the King County District Court (KCDC) East Division Issaquah facility. Determining which court your case will be scheduled in will be based on several factors. Arrests made by an Issaquah city police officer resulting in a misdemeanor charge will be filed with the city’s municipal court. Issaquah does not have it’s own prosecutor, instead it contracts with a private law firm named Moberly & Roberts. However if you are arrested in Issaquah by a King County Sheriff Deputy or WA State Trooper your case will considered a state case. 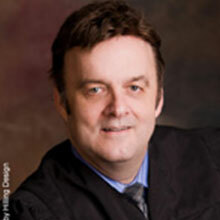 State cases are prosecuted by the the county’s prosecutor’s office and charges are typically filed at the KCDC East Division Issaquah Facility. Felony arrests are treated as states cases too, except they have their criminal charges filed with the KCDC Superior Court located in downtown Seattle. Issaquah’s District Court also holds cases for charges filed in it’s neighboring cities Carnation and Sammamish. Driving under the influence (DUI) arrests in Issaquah can play out a bit differently than other cities in King County. Most cities will simply release the person after processing them for DUI. However, if you are arrested by an Issaquah city police officer, more than likely you will be booked into the Issaquah jail and will need to post bail to be released. Issaquah has been known to be very tough on people charged with DUI and commonly set strict conditions for release. Some of these conditions may include request for bail, installation of an ignition interlock device or even require you wear a “SCRAM bracelet” to monitor alcohol consumption. These are just some of the consequences involved with being charged with DUI the other penalties are far more harsh. Since the court’s process can move fairly quickly in Issaquah for DUI charges, it is smart to speak with an Issaquah DUI lawyer who has specialized training in drunk driving defense. I am one of those DUI attorneys, schedule a 1-on-1 consultation with me so I can review your case and explain to you what options are available and what you can expect. Turn left on 220th Avenue S.E. The Facility is the first building on the left. If you have any questions about your arrest in Issaquah, WA don’t hesitate to contact me.